SINGLE WIRE, OR ""1 WIRE"", MEANS POSITIVE BATTERY WIRE TO ALTERNATOR ONLY (4 GAUGE OR LARGER) -- NO OTHER WIRES NEEDED! HIGH PERFORMANCE DIRECT REPLACEMENT 95, 130, 170 AND 200 AMP ALTERNATORS ARE EXCELLENT FOR EXTRA ACCESSORIES, HIGH WATT SOUND SYSTEMS AND OFF ROAD LIGHT PACKAGES. 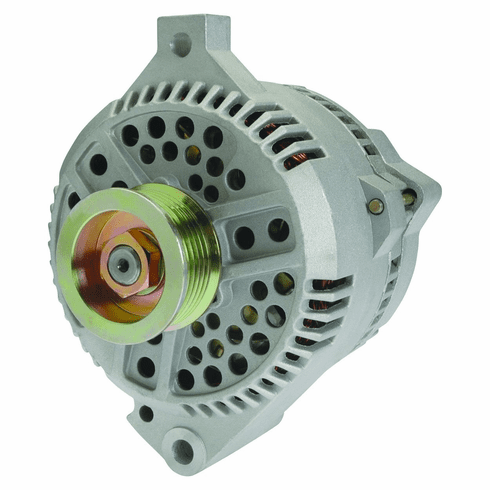 THEY CAN ALSO BE USED AS A SUPER HEAVY DUTY REPLACEMENT FOR YOUR ORIGINAL FACTORY ALTERNATOR. PLEASE SPECIFY YOUR EXACT YEAR AND ENGINE SIZE AT CHECKOUT TO ENSURE CORRECT FIT.